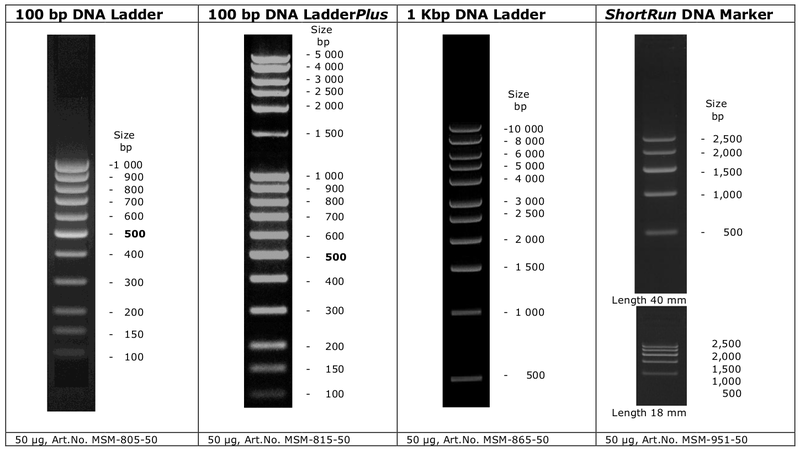 PlasmidFactory offers high quality molecular size marker (DNA ladder) for your daily work. All marker are delivered in lyophilized form and can be stored for 4 years at least. Loading buffer is included.